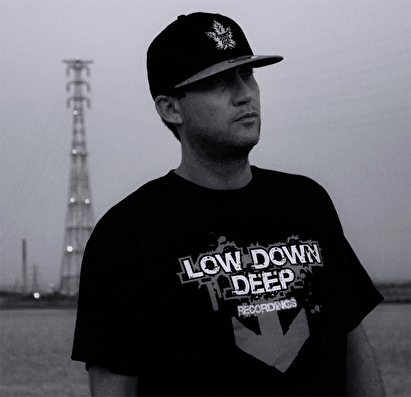 Majistrate has been recognised more recently as one of the prolific dancefloor dj's and producer of drum and bass there is a long history supporting this artist spanning back to 1993. Majistrate started out as a dj, and like many played on his local pirate radio station trying to get recognised. It was this station that started his career in the scene as a producer, as the station owner launched two labels Splash & Juice Records, which became well known and respected in a short space of time. Majistrate had many releases on both labels firmly setting his name as a producer. Within no time Majistrate branched out onto other labels such as East Side, Brain Recordings, and DeeJay Recordings sister label Intellective and also held down a weekly show on Kool FM. Majistrate continued to produce for many years until 1999 where he became deluded with the style of music where it drastically changed. This wasn't the end though, far from it as he then returned to the music in 2001 and decided to move with the times and invest into a new studio set up. Since then Majistrate hasn't looked back, and his success has grown and grown over the years. His production moved to new and established labels such as Ganja Records, Valve Recordings, Bingo Beats, Frontline, and Urban Takeover to name a few, and it wasn't long before his own label was on the cards where he became co-owner of NAM Musik. Majistrate's dj career also excelled and it wasn't long before he was performing at some of the world's biggest drum and bass parties such as Breakin Science, Innovation in the Sun and Dam, Random Concept and also travelling all across the World for dj performances in countries such as Spain, Portugal, Bulgaria, Austria, Holland, Germany, Belgium, Canada, Denmark, France, America and Italy. Nowadays Majistrate is best known for his relentless and tight dj skills and consistent dancefloor smashers on Low Down Deep recordings. In 2010 Majistrate decided to work solo and hasn't looked back since, being one of his biggest and best years so far with highlights including being asked to guest and perform a mix on BBC Radio 1 and joining the infamous New Breed Crew. 2010 also see Majistrate launch his own Sweet Tooth label imprint, which is his first solo record label and will allow him to experiment even further with his dj production skills. 2011 is set to be an even bigger year for him, with production collaborations, world wide dj performances and live New Breed showcases, and his first solo album release all on the cards. Majistrate did well at this years National Drum & Bass awards, and managed to get third place in best breakthrough dj, best breakthrough producer and also got third best track with Step Up which was one of the biggest dancefloor tracks of 2010.